There’s so much to love about marketing technology. There’s a solution for everything. But maybe we’ve gone too far – more than half of marketers (56%) point to fragmented technology as a top barrier to marketing success. 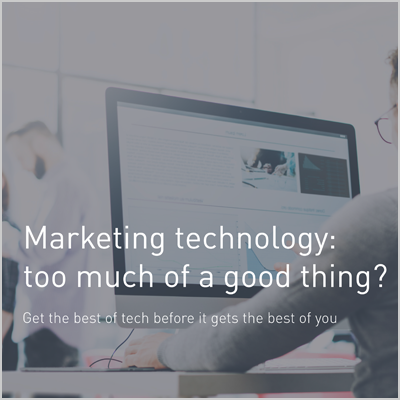 Download "Marketing technology: too much of a good thing?" to learn how to make the most of your marketing technology. How do you currently manage your digital files at work? This white paper is sponsored by Bynder.